The great people at MadeWithMarmalade sometimes collaborate with platform vendors who wish to increase the amount of Apps / Developer adoption of their platforms, this results in the so called developer offers. The Carter Jones Adventures was initially released under such an offer (for the BB10 platform). It is pretty safe to say that without these kinds of incentives, my endeavours in the games/app development would never have been made public like The Carter Jones Adventures is now. I am just the kind of person that needs some external pressure to get things finished and pushed out to the public. So, now there is a new developer offer and it involves the Roku – a pretty unknown device in the Netherlands but in the US it apparantly is, it is often compared to the Apple TV or Google Chomecast line of products. In short, it is a small device that plugs in your TV through HDMI and makes your TV smart by adding media streaming capabilities (netflix, hulu, etc.) and….games! I will be porting the Carter Jones Adventures to this little box, using the crossplatform MadeWithMarmalade SDK. 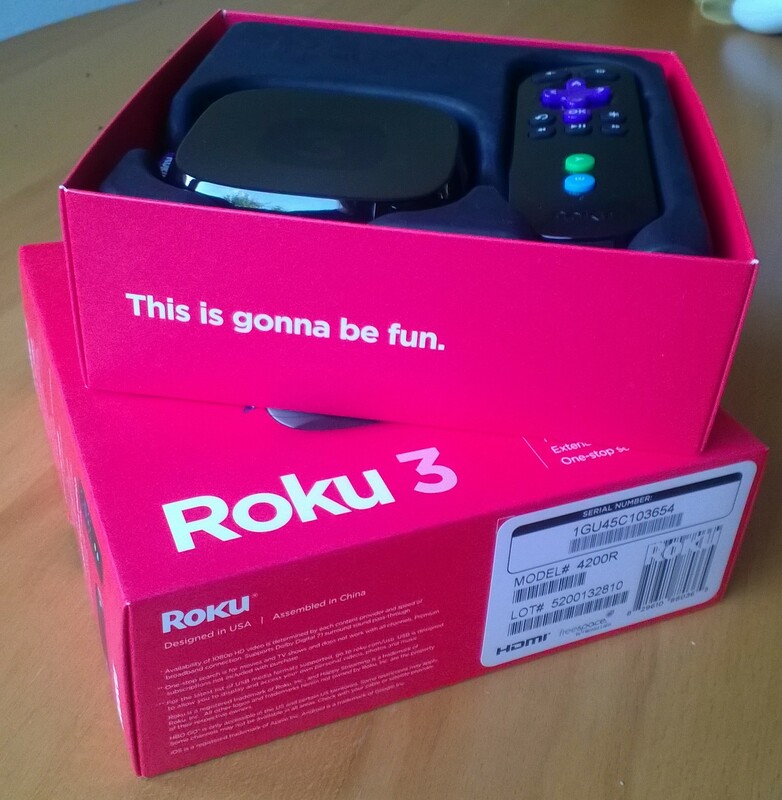 To get started, I received my Roku 3 last week. The connector was flat, so that required a converter but that was quickly solved. Once I hooked it up, I noticed that this device is rather snappy – unlike, for example, the Sony Bravia smart televisions that we use at our office, this device responds instantly to a button press. Setting up for consumer usage is pretty easy and I was quickly adding channels and checking out the features. Impressive little device, so far. In my next post, I will get a bit more in-depth describing how to set the thing up for development and some issues that I ran into with that. Vorige: Vorig bericht: Back from holidays! Volgende: Volgend bericht: Roku development II: unlock your device!